The generous gift was given by Australian philanthropists Barry and Joy Lambert, who were inspired to support cannabinoid research after their granddaughter was diagnosed with Dravet’s syndrome. Dravet’s syndrome is a rare genetic disorder that causes abnormal electric signaling in the brain, which lead to severe and frequent seizures. One of the few therapies that has been shown to alleviate seizures caused by this condition is medical cannabis. The Lamberts’ gift to Thomas Jefferson demonstrates a spreading hope that more research on medicinal cannabis will offer relief for patients with this and other related conditions. In recognition of their support, the center will be renamed The Lambert Center for the Study of Medicinal Cannabis and Hemp at Thomas Jefferson University. "We have directly experienced the miraculous life-saving benefits of medicinal cannabis derived from hemp” said Mr. Lambert in an article for TJU News. “We are confident that working under modern US regulations, TJU and its innovative, scientific approach will prove to the medical profession the benefits and safety of medicinal cannabis for a broad range of illnesses, not just childhood epilepsy." Research at the Lambert Center will focus on a range of chemical compounds derived from hemp including a well-known cannabinoid called cannabidiol, as well as many of its close chemical variants that have not yet been thoroughly explored scientifically. 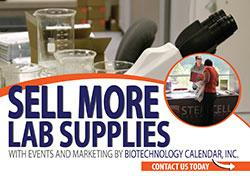 Biotechnology Calendar, Inc. produces an annual life science trade show event at Thomas Jefferson University that brings researchers face-to-face with laboratory suppliers. 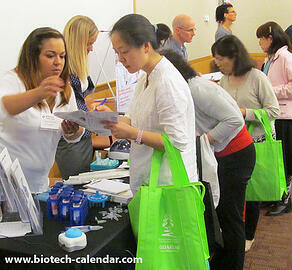 The 8th Annual BioResearch Product Faire™ at Thomas Jefferson University will be held on May 10th, 2017. Life science professionals are invited to attend the annual on campus trade fair for free to view the latest lab supplies and technology. Click the button below for additional information or to pre-register. If you are a laboratory equipment supplier, this is an excellent opportunity to meet with life science researchers and educate them about your lab or chemical supply products. Call us at 530-272-6675 or click on the following link to reserve a space and increase your scientific sales in 2017.